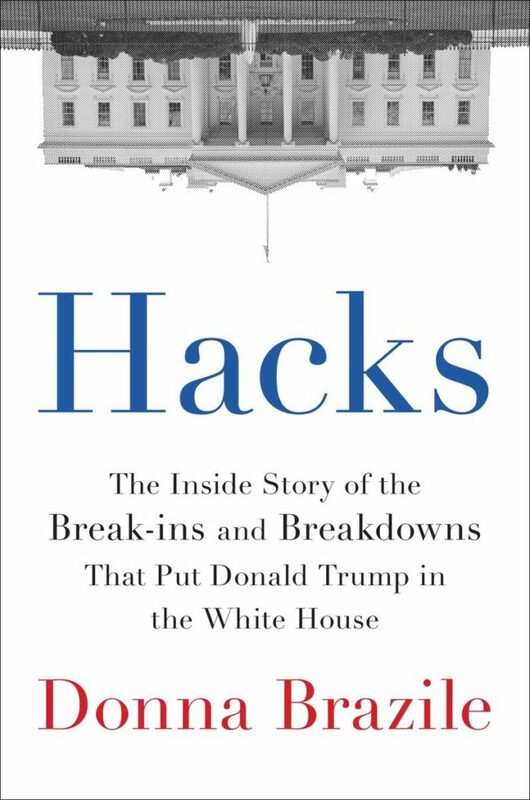 I recently read two books focusing on adjunct figures to the 2016 election: The Devil’s Bargain: Steve Bannon, Donald Trump, and the Storming of the Presidency about Trump’s third campaign manager, and Hacks: The Inside Story of the Break-ins and Breakdowns that put Donald Trump in the White House by the former Chairwoman of the Democratic National Committee (Donna Brazile). They are parallel books: Brazile is a media personality and the book is obviously designed to improve her own image. 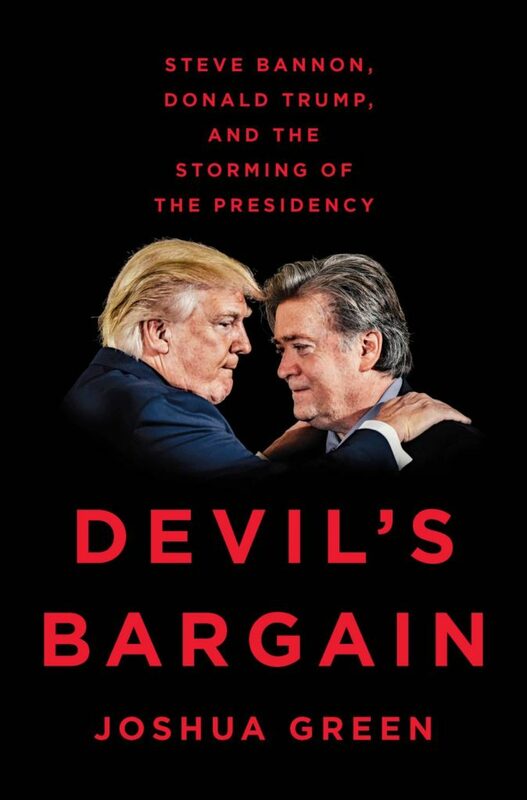 Likewise, Bannon is so transparently the source of Devil’s Bargain the book is essentially written by him, except for some obvious sops designed to expand the book’s reader base. 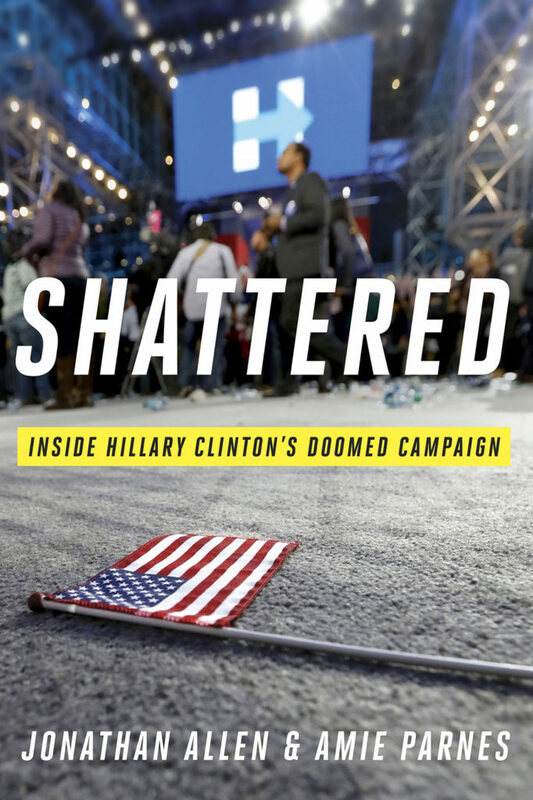 Both books are more interesting than Shattered, the story about the inside of the Clinton campaign written by two professional journalists. While that book provided additional depth to the decision by the Clinton campaign to embrace identity politics as a campaign strategy, both Bargain and Hacks expand the discussion beyond what was commonly discussed. I was impressed by the focus of both books on the new opportunities and threats presented by the internet and internet culture. For Bannon, the protagonist of Bargain, it is the communities that exist beneath the sites of the mainstream media. An early business opportunity, trying to professionalize the “gold miner” community in the popular online game World of Warcraft, failed because of an organized customer revolt that spooked the gamer’s manufacturer but never made the news. 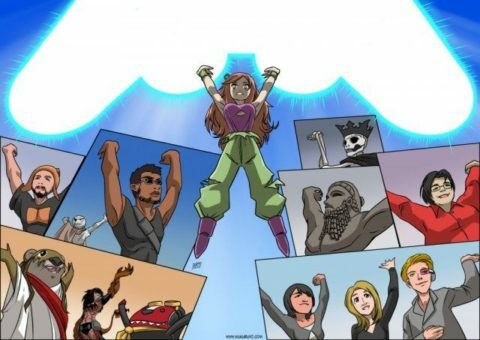 The shadow of this could be felt years later in the sub-cultural hashtag campaigns #gamergate, #sadpuppies, and even #maga. For Brazile, who was more involved with the operations of the Democratic Party fund-raising machine than the campaign itself, the previously unknown threat was “hacking.” I was impressed by the seriousness Brazile gave to this issue. She’s clearly not an information security professional, but she honestly expresses her fear and bewilderment at this sometimes confusing world. 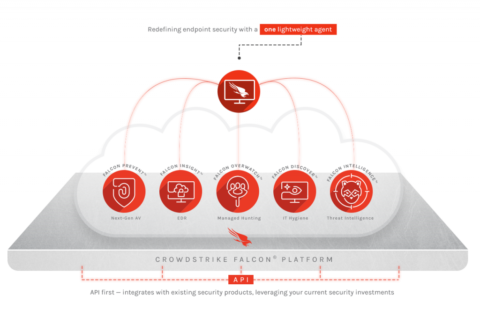 Hacks is the most accurate depiction of the CrowdStrike security I have seen in any book outside of a trade press. Both books contain claims that are factually.. questionable. It’s obvious in Bargain the writer is surrounded by secular society and treats religion like an anthropologist would treat a remote tribe: for example, “the Latin-only Tridentine Mass, which was banned by the Second Vatican council.” Likewise, Donna Brazile is often more interesting to read between the lines than at face value, for instance when she was disinterested in building her own base of support: “” But here, Brazile’s book is better constructed. In the places that either leave the literal truth, Brazile’s writing still leaves it clear what message she wants sent (often it is to praise or blame specific allies or enemies). Green’s errors, by contrast, seem lazy. You can read a sentence from Brazile’s book, such as — “When [a Hatian AM radio host asked me when the campaign was going to start a dialogue with his audience, I knew what he meant by that. When were they going to spend a few hundred dollars in advertising there, which would encourage him to urge his followers to get out and vote?” — and it i sclear that so-and-so is asking for a bribe. A sentence like this the Latin mass comment from Bargain, however, just leaves the reader with the impression that the writer is not versed in the relevant subject matter. This is especially disappointing in light of the fact that both Bannon and Brazile are Catholics. Pope Francis, author of Laudito Si, comes under attack by Bannon: Bargain quotes Bannon as calling Francis “a liberal theology Jesuit” and a “pro-immigration globalist.” Brazile does not discuss theology, but is interested in how Catholic rites can impact the everyday world: she prays for both victory and proper ordering, and uses Holy Water on offices of the Democratic National Committee. My high-level impression of Bargain is that it is predictable result of a liberal journalist attempting to flatter a conservative source. Hacks, by contrast, is hatchet job by an insider against other insiders, combined with a surprisingly accurate outsider’s discussion of a security incident response operation. You can pass on Bargain. Hacks is great fun. In an amusing twist, you can read a favorable comment on Hacks from Steve Bannon’s media company. I read both Devil’s Bargain and Hacks in the Kindle editions. Having watched those videos exactly for the salacious content before beginning, I really can’t describe any of those revelations as a pay-off of reading the book. But I think three large themes are clear in the text, and have been largely ignored by television coverage. They are the organizational nature of the campaign, the conscious rejection of the Clinton coalition as a population to speak to, and the utility of “data” as a shibboleth. Second, the most shocking part of the book was a revelation that something I took to be accidental was instead intentional: Clinton attempts to run a campaign not to her strengths (which she attempted in ’08), but to Obama’s (who, admittedly, actually won in ’08). 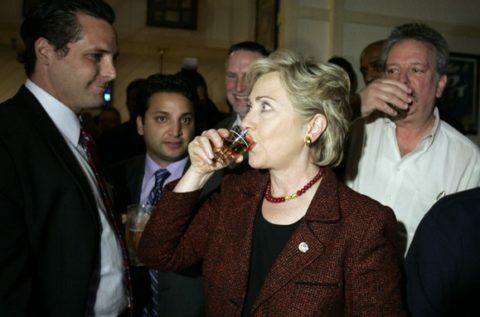 One of the endearing images I have of that cycle was Clinton throwing back whiskey shots. The message was clear: whether you like Clinton or not, she is tough and unafraid. In a dangerous world those are admirable qualities in a leader. Those may be the qualities that won the White House for Donald Trump. Instead of projecting a tough image and winning those left behind by globalization, Clinton tried to complete Obama’s transformation of the Democratic Party into a globalist party. Obama’s coalition included highly paid professionals, feminists, those seeking race-conscious preferences from the federal government. But unlike Obama, Clinton was neither charismatic nor black. She failed, but her failure was part of a conscious strategy. The only shocking part relates to data. It’s unclear exactly what is meant, but polling was replaced by another technique cheaper because polling was expensive. Total Survey Error was simply ignored. Domain experts were sidelined, and anonymous sources told the authors they were made to feel like “dinosaurs” if they questioned analytics. It seems clear the authors themselves don’t understand the details of these debates (whether anyone in the room did is uncertain! ), but I have a creeping feeling that too many were dazzled by the geeky magic of pop-analysts like Nate Silver, to their ruin. I read Shattered in the Kindle edition. For the second time I visited OccupySeattle. I visited with a number of people (About 10) for an extended period of several hours. Last time I went to West Lake Park, in downtown Seattle. The city has closed that down, and the protestors have moved to Seattle Central Community College. This had the benefit of allowing the protestors and the campers to be in the same area. Probably half of the individuals I met with were crazy. I did not meet any crazy people last time, and Lexington Green did not mention any during his initial report, so I assume that this population is new and attracted to the generaly orderly campling arrangements that Occupy provides. Three of the individuals appeared to be mentally ill. One otherwise well spoken young man appeared to be schizophrenic, another was paranoid, and another simply seemed to be ‘out’ of it. I bought the first of these individuals a sandwhich, and the other two fresh fruit. Occupy has a soup line which cares for these individuals, but it is hard for me to see someone who is hungry and poor and suffering from delusions and not help directly. One individual claimed his truck was stolen, that he had been camping in Seattle for a month, and he really needed to be at Boise tomorrow. One individual was a Morrocan who had won the green card lottery, and as now a US citizen. He had been fired by “the Japanese” at a major downtown hotel, and was at the rally to help liberate Palestine. He was well spoken, single-issued, and generally critical of the lack of organization and self-importance of the Occupy leadership. One individual was a quite attractive young woman upset about student loans, and how there could be rich people with many yachts when other people were starving to death. One individual was Paul Loeb, a left-leaning writer who was visited to document the movement. There were several organizers, but they appeared to be busy “babysitting” the homeless (in the words of the Moraccan). During my time there a fight between two drifters was broken up by organizers. Half Sigma says he hopes the #Occopy crowd will kick out the human refuse from their movement. The homeless provide extra bodies, but ultimately they are parasitic on the movement. Standard & Poors downgraded U.S. debt today because of President Obama’s brinkmanship during the debt ceiling negotiations. President Obama publicly threatened not to pay U.S. debtholders unless his demands more met, and week-kneed Republican lawmakers went along with that he wanted. It is now clear that Speaker Boehner and other Republicans should have emphasized the 14th Amendment’s role in the debate. Republicans should have made it clear that A President who does not pay America’s debts, or incurrs new debts without the consent of Congress, no longer holds the office of the President. Instead, weak kneed Congressional Republicans went along with another spending binge, and world markets learned that the President can get what he wants by simply threatening not to pay back our bills. People across the world would be rightfully outraged if the Federal Reserve enforced some bigoted and hateful policy, such as prohibbitting banks from offering Sharia-compliant banking, or from otherwise evangelizing the power of finance to certain religious communities. But the first whisks of such bigotry appeared today, when the Federal Reserve banned local banks from celebrating Christmas. Every day makes it harder and harder to understand why Ben Bernanke does not just step down. I’ve criticized the Majority Leader a lot, but his serious discussion of the Nevada-Boise State game should be applauded. Hat-tip courtesy of Brendan. An ESPN recap, which is frankly inferior to Senator Reid’s, is also available. Do TSA Searches Violate the Fourth Amendment? Local TSA, including the TSA’s own blog, has been citing United States v. Aukai (2009) 497 F.3d 955, that provides a person cannot withdraw consent after a search has started because it would allow those detected to escape. Misconstruing the case, TSA’s new searches violate the US Constitutional “administrative” and “special needs” doctrine exceptions to the 4th Amendment as outlined in that very case. A search has to be no more “extensive” “nor intensive than necessary” and “confined in scope in good faith to that purpose.” [[US v. Aukai, 497 F. 3d 955, 961 (9th Cir.2007) citing United States v. Davis, 482 F.2d 893, 913(9th Cir.1973). Pistole acknowledged Novemeber 21, 2010 that new TSA screening procedures are “invasive” and “uncomfortable”  confirming the public’s outcry over the searches and thereby implicitly acknowledging what was known all along; the extensive searches are unconstitutional without reasonable suspicion. Pistole’s agency will continue to face criticism because screening all passengers with AIT or extensive pat-downs is not confined in good faith because they are generally applicable to all passengers traveling and without any limitation. A “special needs” search requires reasonable suspicion for more than that most minimally invasive searches (visual, metal detector, questioning, profiling, etc.). While an administrative search doctrine provides that the officer’s discretion is to be limited and when a person objects they get a warrant. New York v. Burger, 482 U.S. 691, 711 (1987). Pistole’s agency during the reevaluation may finally come up with a constitutionally permissible search process which would escalate the levels of intrusiveness from a positive metal detector to a normal pat-down and then AIT or extensive pat-down if there was a need or reason to suspect, as in “good faith” they had an underwear bomb or to determine what triggered a safety alarm depending on the available technology. However, this is unlikely given the totalitarian stance taken by the TSA and their unwillingness to do so. In fact local TSA on “national opt-out day” has requested local police departments to be on hand to arrest and bully those who exercise their rights and opt out before any search has taken place. This too violates the constitutional rationale behind not requiring a warrant in the first place. Contrary to threats by TSA agents, civil penalties do not exist nor can they for refusing to be searched once a person has entered the checkpoint, rather fines exist for interfering with a search once it has started. I am not a lawyer. Thoughts from any who are? Just as both al Qaeda and the TSA use sexual assault as a tool of politics, both al Qaeda and TSA kill air travelers. The difference is that the TSA kills more travelers than al Qaeda. More stringent security procedures, in essence, function as a tax upon air travel, and produce a corresponding deadweight loss. Teleconferences are often a poor substitute for person-to-person interaction, and when people are reluctant to travel, some business deals donâ€™t get done that otherwise would have. Recreational travelers, meanwhile, may skip out on vacations that otherwise would have brought them pleasure and stress-relief (while improving revenues for tourism-dependent economies). The tenuous profits of the airline industry are also affected, of course. Revenue losses from the new bag-checking procedures may have measured in the billions, according to the Cornell study. Other passengers may substitute car travel for air travel. But this too has its consequences, since car travel is much more dangerous than air travel over all. According to the Cornell study, roughly 130 inconvenienced travelers died every three months as a result of additional traffic fatalities brought on by substituting ground transit for air transit. Thatâ€™s the equivalent of four fully-loaded Boeing 737s crashing each year. In other words, Barack Obama is a greater threat to the safety of air travelers than Osama bin Laden. Save American Lives. Impeach Janet Napolitano. Stop TSA Sexual Assault. Today I had the pleasure of talking to a senior-level, PhD researcher at a very large corporation that you have heard of, interacted with, and given money to. I am under the clear impression that this man is a liberal Democrat, though by nature he is generally unpolitical. He has good (and bad) words to be said about congresspeople and officials from both parties. His votes are normally driven by local matters of interest to him because of how they impact his (entirely gentile) recreational habits. He mentioned to me how he fears for his young daughter’s safety because of the new TSA guidelines. He worries how the software in the machine prevents levels of radiation levels high enough to harm his daughter’s reproductive system. He worries how his daughter’s normal development will be effected by being regularly fondled by strangers. I have not heard any reports of systematic sexual assault on civilians by al Qaeda under Osama bin Laden. I wish I had not heard any reports of systematic sexual assaults by U.S. government under Barack Obama. As far as the normal development of young girls go, they appear to be safer in areas controlled by bin Laden’s al Qaeda than by the Obama’s United States.